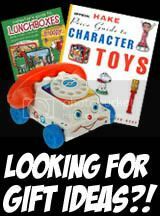 Vintage Toys & Memorabilia: Ad: A Great Place To Buy Toys & Action Figures! Great blog! I just found it while trying to find vintage cereal commercials to show my kids. I'll be adding this to my blog feed - hope to see more posts soon!